Welcome to “My Better Day” Weekly Musings! I’m moving to a weekly venue vs. bi-monthly since that obviously didn’t work for me last year. **Sigh**. I’ve also changed the headings a bit to spruce things up and add a little pizzazz and excitement to the mix. I hope you agree? Please let me know what you think. I would be honored to hear from you. delicious recipes from my good friend and excellent chef, Christine—and more! Crack open the door to the magic awaiting inside. It’s always been there. Please visit often, as your spirit moves you to make your day a Better Day! And please share! “And above all, watch with glittering eyes the whole world around you because the greatest secrets are always hidden in the most unlikely places. Those who don’t believe in magic will never find it.” ~ Roald Dahl. I’ve always had an affinity toward all things magical and totally agree with the opening quote: “Those who don’t believe in magic will never find it.” How about you? Have you ever wondered what instills this magic inside of you so much that it becomes innate? Read on to hear the roots of my magical installment. I remember my eight-year-old self riding my bicycle around with a Lego-made fairy house propped in my bicycle basket. Every fairy needs a home, right? I treasured shows like The Wizard of Oz, Cinderella, and The Borrowers. As an adult, I discovered Darby O’Gill and the Little People—a must-see this time of year with St. Patrick’s day fast approaching. My March 2011 newsletter was my last installment on this magical, mystical, passionate subject. The time has come again. It’s long over-due if you ask me. This story has been on my periphery for some time now, begging to be shared. I hope you enjoy it as much as I did living it. “Similar to other children, I grew up with a fervent belief in all things magical. Houdini was one of my childhood heroes. My favorite childhood book was a book about elves, fairies and mermaids. 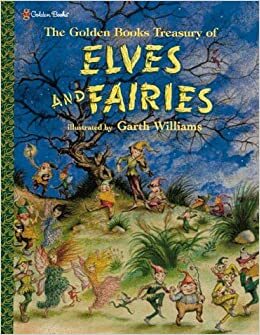 I think it was The Golden Books Treasury of Elves and Fairies or The Giant Golden Book of Elves and Fairies with assorted Pixies, Mermaids, Brownies, Witches, and Leprechauns by Jane Werner. Unfortunately, it didn’t survive my childhood. From the comments on Amazon for the second book mentioned, I have to believe the illustrator’s magical drawings affected more than just me as a child believing in magic. Well this past Fall I decided to finally go for it on Amazon and purchased what my best instinct/memory told me was the treasured childhood book. There were finally some used ones in Amazon at a price I could afford. A few years ago they were a couple of hundred dollars! From an array of various versions of Golden Books of Fairies and Elves, I chose the one with the blue cover. While I had yearned for this book for a long time, I could not have predicted this particular reaction was buried deep inside. I knew I would enjoy it. I knew it was a special memory for me. But not for one iota of a second had I imagined I’d be moved so deeply and instantaneously upon viewing the illustrations. I was brought right back to my childhood in a split second as if on a literal time machine. It was as though I found a long, lost childhood friend and confidant. I had rediscovered the portal to my magical childhood kingdom. I can only say as a child I must have spent literally hours getting lost within the pages of this treasured book. I intimately knew each detail and had committed to memory every minute character illustrated within its pages. They were all still there, buried in my memory, waiting for me to come back and play. They each still held a special spot within my heart. They had comforted me when I was sad and lonely and had filled me with awe and wonder so many times so long ago and they still do—this was the big surprise. This was the special treasure. This depth of emotion still amazes me. For the next few days I’d sit down to slowly re-read, embrace, and relive these treasured stories. My husband would catch me crying profusely. One time he didn’t know I was reading. He only heard me sobbing and asked out loud from the other room if I was okay. Through tears I sobbed “he made her silver slippers…” and my voice trailed off. Of course, I was referring to “Singeli’s Silver Slippers” translated from Swedish by Martha Inez Johnson. It’s a story of a poor, shoemaker who wanted only to provide shoes as beautiful as his beloved daughter, Singeli. So he chose to make them with silver-colored leather vs. the more frugal, common, wooden shoes. One night the fairies-of-fortune came to the shoemaker’s house and stroked the silver shoe leather Singeli’s father was crafting for his daughter, whispering: “Little slippers, Go only on bright roads, Only on good roads, Only on right roads.” And whispered to the sleeping Singeli “If you, dear child, Go astray, Silver slippers will vanish away.” The shoes then turned into real silver. I don’t want to ruin it for you. I try to logically explain the emotion: Perhaps it was because I knew my grandfather was a shoemaker (my mom’s dad whom I’ve never met) that this story touched me so deeply, or perhaps it was because my own dad always made me feel this special and he is now passed. Re-reading the treasured stories re-awakened the hopeful child within still full of wonder and awe at the magic of it all. (I’m not certain she ever went to sleep, truth-be-told.) Most likely it was a culmination of all of the above that brought me to my knees with emotion. I could not quit crying. Each story left me overwhelmed with heart-felt emotion. The Pixies’ Scarf by Alison Uttley tells a tale of a young boy who finds a pixies’ scarf while picking berries with his grandmother. He’s told adamantly by his grandmother to return the scarf, for surely the pixies will know he has it and come for it; but he keeps the scarf any way. The scarf imbues him with magical abilities to hear and understand all of wild life—the birds in the trees and the fish in the river—even the stones spoke. “Like a mirror on the ground” he could see wildlife below like the rabbits nestled in their homes. “The earth itself seemed to be whispering, and the stream answered back.” Of course, the pixies came to claim their scarf and the boy barters it for some pixie marbles made of “pixie rubies and emeralds” –“green as grass in April, blood-red, snow-white, and blue as the night sky”. He knew they contained magic and “would capture every other” marble. And if you doubt the magic this book carries, please read on. Seconds after just completing this magical story, I was still in a mesmerized stupor when my husband says “Listen to this!” and he shares a story from his business magazine: “A decades old plane crash, originating from India, has been found in the French Alps. They discovered a metal box believed to be on board the flight containing rubies, sapphires, and emeralds worth an estimated $332,000!”… Whoa!! Seriously? That’s the story he decides to share at that exact moment? Goose bumps! Does anyone reading this doubt that this book finding its way back to me was magically inclined? Thump on the head from the wee folk! Fast forward a few weeks and I decide to order a couple more used books as Christmas presents for my siblings. My oldest sister has no idea what I am giving her. We aren’t even supposed to exchange presents. Only the younger members of the family get the gifts here. She, too, shared that it “was like finding an old friend you thought you’d never see again.” She said, “It brought me right back to my childhood and I kind of want to stay there awhile.” She couldn’t believe her reaction either. It overtakes you immediately and whisks you off to the magical realm. But what about my brother….? As he continued to page through, he came upon the page that had haunted my memory for so long—the elfin family beneath the tree. And he says “Oh…oh yah, there it is. That’s the one.” So it was a special illustration for him too! He silently continued to page through and then said with a lot of thought “I wonder what it is about this book that stays in your memory. Is it the color? Is it the storyline? There I am back in our basement again.” The basement was our toy room. We played there for hours in our childhood. What was your favorite childhood book? Find it. It holds the key to magical memories. It is worth its weight in gold. You won’t regret a single penny spent in bringing it back into your life. Crack open the magic and take a ride back in time when scarves had magical powers and slippers turned to silver. Like Peter Pan you’ll be the boy or girl who never grew up. Meet me there and we’ll hang out. From a seated position, straighten your legs forward. Flex your feet pointing toes to the sky and pushing through the heel. This activates the leg muscles as well as encourages a stretch in the calves. Hinge at the hips reaching forward while maintaining the natural lumbar curve. Ribs stay tucked, leading with your breastbone. Use your abs to draw forward. Head stays over shoulders. Shoulders stay rolled back, relaxed and down. Never compromise your low back for the reach. I often tell my yoga students that if you feel a sensation, it’s good. It’s when that sensation “crescendos*” that you need to pull back. *Yes, I know “crescendos” refers to volume and intensity of sound, but to me it also relays the message I’m trying to deliver to my students. Heck—I’ll bet your body wishes it could make a sound before it goes beyond its limit! So this term and when I use it has become what I like to call a “Sandyism” in class. When you’ve come as far forward as you think your body wants to come while maintaining your natural lumbar curve, add a flex to the spine as you bring your head toward your legs. Your lumbar curve will release gently. Hands can rest on legs, ankles or feet. Or even on the floor. Knees stay pointing up. Once in the pose, use the breath to inhale and elongate, exhale and deepen if it feels good. So where do you experience sensation in seated forward fold? The Leslie Kaminoff anatomy training introduced me to a whole new way to look at forward fold. It’s funny that I refer to it as a “new way” when it’s really the way the Sanskrit term defines it. Another version (from Svatmarama) calls it Paschima Tana with Tana meaning to lengthen or spread out. It describes where the stretch occurs more than the shape change. It describes an experience vs. the shape. To experience the stretch on the west more evenly distributed across the whole back side of the body/superficial back line is going to be different for “every body”. Each person is different. We all have different starting points with where we feel the stretch. Spinal flexion, for some, may or may not involve the experience of feeling the stretch on the whole back side of the body—depending on how you are doing the spinal flexion. You may be in what appears to be in a perfect forward fold, but the stretch could be coming from only a couple of places. For well distributed movement, you want a lot of little movement across a lot of places in the back/west side of the body. Finding out what is more useful so that you can experience a more evenly-distributed sensation/experience is the goal. One of the main themes in Leslie’s trainings is that you should be looking for a little bit of movement in a lot of places vs. a lot of movement in one spot. Over-using one spot means you may be losing out on potential movement elsewhere along your spine. Consistently over-using one spot repeatedly also breaks your body down over time, creating repetitive stress and strain. You want to move the parts that can’t move so easily first to be able to more evenly distribute the movement. Healthy movement is well distributed movement. “Flexion” refers to the relationship of the spinal curves to each other: An increase in the primary curve of the spine which corresponds to a decrease in the secondary curves—lumbar and cervical curves—of the spine. The goal of spinal flexion—the very definition of spinal flexion—is to experience a stretch across the whole superficial back line. It’s not just a stretch in the hamstrings, for example. Each of your spinal curves contributes to the flexion. The lumbar curve contributes the most at 60°. The cervical spine contributes 40° and the Thoracic spine contributes 45°. Focus on the areas of your spine that are the least flexible first to make sure you have well-distributed, maximum movement. If you go to the lumbar area first (the most able to flex), you may miss stretching areas that are least able to move. Considering the goal of spinal flexion, forehead to knee or thigh is a good direction to shoot for. It decreases the cervical curve which is least flexible compared to the lumbar. It encourages more spinal flexion than simply hinging at the hip. It’s all about creating the experience of a stretch evenly distributed along the whole back/posterior side—the whole superficial back line. How best to do that is what you look for. The pose is about an experience of even distribution of sensation. It’s not just about how the shape appears. Ask yourself “where is the stretch sensation occurring and where isn’t it?” Your answer will tell you whether it is distributed well or not. A well distributed stretch relaxes the nervous system so that one area is not overwhelmed. Typically you would suggest that the student with the tight hamstring or low back issues might want to bend their knees as they go into spinal flexion. What about a more flexible person? This was another aha moment for me! A more flexible person is tempted to simply flop into forward fold, hinging at the hip—busted! Yet they are probably not feeling it across the whole back side of the body. By bending the knees and bringing your forehead toward them, you move your breath to fill the back side of the body which gets the stretch into the thoracic area of the spine. Below is my s-l-o-w progression toward my knees and as I make contact I started to release the knees toward the ground slightly. This opens the sides of the rib cage and the lateral muscles of the back. This helps to create full breathing for the back of the lungs—an area often forgotten about because we tend to think the lungs exist only on the front side of our body. The lungs are actually much bigger on the sides of the body and even deeper and bigger in the back. The whole back line starts to engage. Bending the knees gives a better sense of lengthening. Engaging the front of the legs by bending the knees creates resistance to just flopping forward which creates a different sensation. That sensation can then be more evenly distributed and they will feel a more well distributed stretch throughout the whole back line of the body. Also the bent knees helps to contract the front side of the body which helps the back side/antagonist muscles release. It helps to engage the abdominal area. Shortening the front body triggers a lengthening of the back body. I’ve really been enjoying playing with this “new” old way to experience spinal flexion. Your body will too! Enjoy! Bend your knees to protect the low back, especially if working with sciatica. Tension headaches, the most common type of headache, can be triggered by bad posture, muscle fatigue, overtiredness, and stress—conditions that are helped with yoga. The most common poor posture across all age groups is the Forward Head Position (FHP). For example, a forward-head position, with its accompanying rounded shoulders, curved upper back, and resulting muscular tension, will often cause headaches (and even known to cause TMJ). Because the muscles of the neck and upper back connect to the head, tension in the neck can be referred to the forehead and behind the eyes, causing headaches. Asanas that stretch the upper back, shoulders, and neck relax the muscles and allow oxygen-rich blood to flow to the brain. The increased body awareness resulting from yoga practice can even help predict the onset of a headache and stop it early in its course. Stressed postural muscles may also cause nausea, generalized fatigue, lack of concentration, and visual disturbances. Chronically overworked, the muscles become fatigued and go into spasm. This is compared to a “charley horse”. Just as we would stretch a calf muscle in spasm, we need to stretch the “headache muscles” to bring relief. We should retrain the upper back to extend, the chest to open, the shoulders to roll back and down, and the head to rest on the midline. Dysfunctional breathing patterns contribute to headaches. If breathwork practices interest you, consider taking my next Meditation / Breathwork “How-To” class. Sign up for my newsletter and “like” Better Day Yoga on Facebook to be in the know! Hatha Yoga is often been referred to as a “going within” to get to know the nature of your true self. What better way to accomplish this than spinal flexion. Embracing the “forehead to the knee/thigh” direction suggestion as explained above in the “alternative” option, truly curls you into yourself. As you hone into where you are sensing the stretch sensation, you are practicing pratyahara—control of the senses; as well as dharana—concentration and cultivating inner perceptual awareness. Experiencing the slow evolution of this pose—the slower the better—allows you to detach from the outer world and truly get to know yourself. You learn what’s going on in your body. You become intimately aware of your inner workings. This pose invites you to explore your inner self. A well distributed stretch relaxes the nervous system so that one area is not overwhelmed. Relaxing and rejuvenating the nervous system is one of the hallmarks of spinal flexion. Curling inward is a protective reflex for many animals in nature—one of which is the armadillo. An armadillo’s armor is the shield it carries on its back. Their most vulnerable area is their underside—not unlike us humans. The fight-flight response of our sympathetic nervous system stems from fear. Stress stems from fear. By practicing the curling in of spinal flexion with the intention of focusing inward and honing in on the minute sensations you are experiencing, you are able to turn off your constant fight-flight response and turn on your rest and digest parasympathetic nervous system rejuvenators. It’s a mini-meditation asana. Paschimottanasana / spinal flexion stimulates your first three chakras—your physical chakras. These are your stabilizing, grounding, creative, sensual, flowing energies as well as your energies of willpower and discipline. Knowing that what you need is found within and that curling inward isn’t a sign of weakness but an avenue to secure your inner strength and direction is the gift of Paschimottanasana. Your drishti, or focused gaze, in this pose pulls you further into your very core, concentrating your intention inward, inward, inward. Intending to feel the sensation across the whole back side of your body reminds you that you are aiming for expansion in all areas—both on and off the mat. Lighting up your whole back line connects you energetically top to bottom. Your central meridian curls inward which empowers your governing meridian to vibrate outward (see photo below for a visual on where the meridians are in your body). They are partners and in their connection you are strengthened. This pose reminds you there is a time to curl inward and a time to express outward. I read an interesting article in the March Science of Mind: Healing our Lives, Overcoming our Fears: An Interview with Dr. Marc Schoen, by Diane Dreher. It talks about an “epidemic of fear” in our lives. Click here for his book on the subject. Your sympathetic nervous system’s fight-flight response used to require danger along the lines of “a tiger attacking you in the forest” to set it off. Nowadays the level of when you consider something “uncomfortable” has been lowered significantly. Now all that’s required to set off your flight-fight / stress response is your latte taking a little too long to get done, traffic delaying you by a few minutes, or perhaps your computer stalling (let alone crashing). Fear used to set off your stress response—now fear has been downgraded to discomfort. You sense discomfort as danger. Nowadays you’re less tolerant of discomfort. While you may not consider stress necessarily equivalent to fear, Dr. Shoen reminds that “the stress response really emanates from a fear response.” He also touches upon something I think we all instinctually know—as a society we are addicted to sensory stimulation. The more you increase the sensory stimulation, the more agitated you become. It only makes you crave more stimulation. Dr. Schoen refers to this as “agitance”. You’re so used to constant sensory stimulation from your devices, you’ve forgotten how to relax. So when you’re asked if you’re under stress, you may be like my husband who likes to tell me he’s fine when I know better; or you may feel stressed but are unable to pin down exactly why. There are too many variables, too many things that bring you “discomfort”. The solution? Generating positive change by combining positive thoughts with positive feelings of gratitude and love. I know, I know, you’ve heard this before…but perhaps this time you’ll listen? Do a gratitude meditation whenever you start to feel agitated, uncomfortable, or downright antsy. Focus with feeling on what you are grateful for, on what you love in your life. Connect to that for even a minute with eyes closed and perhaps a half-smile on your face and then continue on with your life. Do this as often as you remember to do it. It will become your natural state of being after awhile, and you’ll feel fantastic. Just try it! I know when I dwell on the absolute joy of being in this life with the greatest husband/ friend a gal could ever have, every moment becomes filled with joy. What and or who do you love? How about those of us in the Northern Hemisphere about to recover from the worst winter in a looooong time and experience spring? Can you put a little emotion into that? Can you get excited about some green grass and walks in the forest OUTSIDE? When it’s spring, the world is your oyster! Go out and enjoy this great big beautiful world! Thich Nhat Hanh suggests using a half-smile technique in his book The Miracle of Mindfulness. Half-smiling when you first awake along with three deep breaths, when you find yourself sitting or standing anywhere, while listening to music, and when irritated—all with three deep breaths. Trying it when I’m irritated works for me, calming my mind. It also surprises the person you’re irritated with! “Our goal is to better manage discomfort and remember that too much discomfort leads to the fear reaction.” ~ Dr. Schoen. In honor of St. Patrick’s day in this month of March, I started this newsletter (for the “full newsletter” click here) with the story of my magical, childhood book on Fairies and Elves finding its way back to me (with the help of Amazon). In this “Chakrascope” section, let’s touch upon the “Wee Folk” one more time! My regular readers know I believe in the magic and encourage others to be open to it. It’s all energy—Albert Einstein would agree. When our ancestors encountered or experienced magical energies, they gave it their own “name” as an identifier. In Yoga, the Chakras are energy centers in the body storing life force / prana / chi / energy. Re-read the opening paragraphs to this section for more details. I repeat this section every newsletter as a touch-base reminder reference. Your energy centers / chakras have a corresponding element in nature, as do your Ayurvedic Doshas. In the Vedic sciences, Jyotish (astrology) is given special importance. This science also corresponds to the elements. Sometimes Archangels take on this role: for instance Michael, Archangel of the Sun, is linked with Fire, and Gabriel, the Archangel of the Moon, with Water. Each direction has a corresponding element. One system connects the North with Earth, East with Air, South with Fire and West with Water. Feng Shui also uses the elements. The list goes on. The elements are considered to be the building blocks of life. Throughout history we have continually referenced the elements as a way to make sense of our world. “The Irish Folklore Commission (Coimisiún Béaloideasa Éireann in Irish) was set up in 1935 by the Irish Government to study and collect information on the folklore and traditions of Ireland. It is said those that can see the “Wee Ones” are those that stay “close to the elements” of nature—who relate to the landscape. Perhaps if we all made it a point to connect with nature on a daily basis, like our bodies are meant to, understanding the energies of the elements would not be such a foreign subject. Can you open yourself up to the possibility that when our ancestors encountered the “Wee Folk”, they were experiencing energy? Your crystal watch runs on the energy of that crystal. You don’t consider that woo-woo, do you? Your microwave uses energy to heat your food. It’s scientifically proven that everything is energy. Nothing is really solid. Some research speculates that the energy of computers, cell phones, and microwaves may affect our bodies. The elements of nature are considered the building force of the Universe. Now there’s some energy! The elements also make their appearance in the world of the “Little People” as “Elementals”: There’s an elemental spirit of the Earth, Air, Fire, and Water. “Rather than being creatures with a permanent form, the elementals are the forces or energies that in nature and magic give shape to living things and bring thoughts and desires into actuality, for example seeds into flowers and trees…They take on a particular form for a particular task…The elemental beings, as manifestations of these forces, are believed to occupy a kingdom between the material and spiritual plane and so act as a bridge between the two dimensions. The four elements can be regarded as one of the focused energy sources that for centuries were believed to be the building blocks of life.” A Complete Guide to Faeires & Magical Beings, by Cassandra Eason. I’ve offered many ways to “work with” your chakras in this Chakascope section. How about “playing with” your chakras instead? Maybe channeling your inner child / playful side will manifest the energy you’re looking for? It’s worth a try. Don’t you think? Just let it be fun! Remember fun? Just for today, try summoning the energy of the Little People / Wee Folk / Faerie to awaken your chakras. First chakra—earth element—Gnomes are considered to be the spirit of the earth, as well as leprechauns, dwarves and the sidhe. I have a friend who collects gnomes and likes to imagine them coming to life in the evening much like the movie, Gnomeo and Juliet. Point being—get outside and connect with nature, plant a garden and decorate it with gnomes. 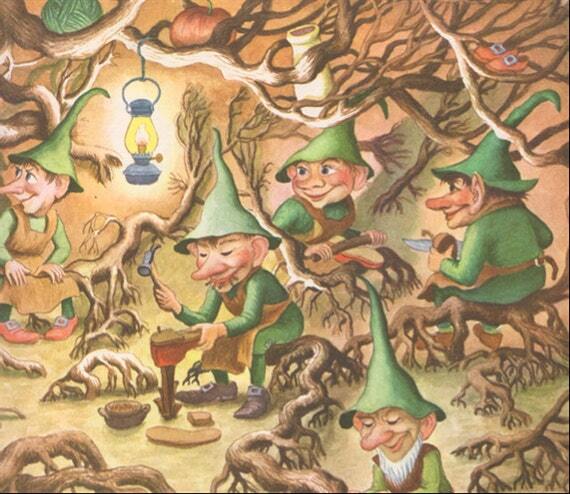 If you’re feeling more playful, meditate near your gnome collection outside, or perhaps near your favorite tree envisioning the roots below (tree roots are often considered home to the earth elementals) to connect to earth energy. Second chakra—water element—Mermaids, undines, selkies, among others, are considered the spirit of water. Mermaids and water fairies appear across several cultures. Why is that? They can’t all be wrong! Do you like the ocean? Do you love to swim? Do you consider the “energy” of the water to be magical? Then play in your magic. Swim, go boating, run through the sprinklers, drink lots and lots of water. Go with the flow of life and let go of your worries. Hey, it’s Easter soon—celebrate Dyngus day! This is Easter Monday and in the Polish tradition (have you checked my last name? ), this is the day to sprinkle each other with water—use squirt guns, buckets—whatever inspires you. In my hometown of South Bend, IN, Dyngus Day is celebrated much like a Polish St. Patrick’s day. Third chakra—fire element—salamanders and fire sprites are considered fire element “Wee Folk”. This is the element of heat and light. Energetically this connects you to your desire in life. What is your passion? Take one small step toward it. What’s holding you back? Build a fire, write what’s “blocking you” on a piece of paper, and burn it. Not sure what your passion is? Stare into a flame and dwell on the question. Your answer is within. Fifth chakra—ether or space element—some say “mineral” element as well. Since historically there is no element in the world of the “Wee Folk” associated with “ether, space, or mineral”, connect to your fifth / throat chakra by expression. The “Little People” love joyful dance and song. They understand the importance of celebration! Sing and dance daily! Use your throat chakra to sing as you dance to your favorite tunes. An uplifted spirit attracts the “Little People’s” energy. Sixth chakra—nature element. The “elementals” are all about nature! Go outside! Enliven your body by connecting to nature! Embrace the outside! This is your “third eye” chakra. Using your intuition uses all of your senses and zones you into what feels right. Our circadian rhythms are balanced when you spend time outside. What feels right when you feel balanced? Everything! Seventh chakra—spirit element—“Spirit is the energy that connects all the elements. Everything in this and other worlds has a spirit that makes it magical. As a result, spirit is often considered the fifth element or the union of all the other elements. This union forms the divine quintessence. Within fairy ritual, spirit is a key component and dwells in the center of the circle, symbolizing its role as the connector of all things.” The Complete Idiot’s Guide to Elves and Fairies by Sirona Knight. In the chakra system, the seventh chakra is considered “enlightenment”—connection to the Universe / Spirit / God. I can think of no better way than to work with all of the elementals, oh so briefly described above, to connect to your Universe. Enlighten yourself through daily ritual with the “Little People”. This was a brief, playful list of suggestions. Use your imagination! The following Irish blessing incorporates the elements and is one of my absolute favorite blessings. If I weren’t Polish, I’d want to be Irish. Enjoy! may God hold you in the palm of His hand. ~ Traditional Gaelic blessing. A few weeks ago I devoured a new book by Hibiscus Moon called Crystal Grids: How and Why They Work. What is a crystal grid, you ask? “A crystal grid is a geometric pattern of energetically aligned stones charged by intention set in a sacred space for the purpose of manifesting a particular objective….A crystal grid incorporates the use of crystals and stones because of their precise vibratory frequency.” ~ Hibiscus Moon. These “vibrations” help manifest your intention. In short order, I created a leminscate (infinity symbol) for abundance in my business. Choosing your intention for creating the grid is personal. Hibiscus gives you some ideas—but the sky’s the limit! Have you ever used a vision board? I equate the crystal grids to being a beautiful crystal vision board containing the elements/vibration of my intention. Choosing a shape using “sacred geometry” and known sacred symbols adds to the energy of your grid. This amazing book gives you many helpful suggestions on various sacred symbols as well as the types of stones to gather for your grid. I started to go through my collection of stones scattered all around our house to find the “candidate” stones. This process was actually more fun than it sounds but maybe that’s just me! It was therapeutic to handle all of my stones checking for the ones that spoke to me. Maybe it was their color, maybe it was their “vibration”. Who can say? I’ve learned not to question my intuition. I used one of my pendulums to check the “energy” of the candidate stones. You don’t need anything fancy for your pendant—it can be a long necklace with a charm that has some weight to it. I like to say “have pendant will travel!” (Click here for a good article explaining how to use a pendulum). The pendulum “helps you connect to your higher self, tapping into answers you already know on a super-conscious level.” ~ Hibiscus Moon. Once I had gathered all the stones that my pendulum showed “wanted to play”, I began the process of setting up the crystal grid as explained in the book. Creating a sacred space is crucial. I already have an area where I meditate and practice yoga daily, so the choice was obvious. Your sacred space will be very personal. Finding your quiet corner, or shelf, or countertop will be a source of solace for you. So approach this task with awareness. It’s your sacred ground and no one else’s. The energy with which you approach anything will affect both the experience as well as the outcome. “When you compare the floor plans of modern homes with those of ancient times, you will see that our needs have essentially gone unchanged. There is one major difference, however. In the space where the ancients once kept their altars, most modern homes now sport a television. The effects of having a sacred space in the home are profound. In times of loss, extra stress, or when the world seems unfair, this place can be a refuge. No matter where you live or how much room you have, a corner or small shelf space can become a tool for creating closure, initiating new changes, setting goals and opening yourself to inner guidance. So make room for a few items (a candle, crystals, fresh flowers or pictures) that represent peace, calm and inspiration. Spend a little time every day in front of your altar and watch your capacity for reverence grow and overflow.”~ From the book Your Altar: Creating a Sacred Space for Prayer and Meditation by Sandra Kynes. Location within your sacred space should keep foot traffic in mind. You want to keep your grid undisturbed. One of the placement options is placing your grid to face “magnetic North”. I did that—it’s supposed to add the magnetic energies of Mother Earth to “powerfully intensify your grid.” Who wouldn’t want that? Before you assemble your grid bring yourself into an alpha state for focused attention and intuition. Yoga and meditation practices do that for me. What works for you? Something as simple as lighting a candle creates a sense of the sacred. Centering yourself with some deep breaths and your own version of prayerful contemplation is a great place to start. You’ll also need an affirmation outlining in a short, positive statement what you want your grid to accomplish to “activate or trigger” your grid. Remember to state your affirmation with feeling, emotion, and visualization. Again, this will be very personal. I used an affirmation from a Coventry Creations candle. On the side of one of their candles, it says: “Affirmations, when fully embraced, can fill your body, mind and spirit with their life changing powers. The strength of an affirmation comes from the inner commitment you make to its success. Combining your affirmation with a candle specially designed for the same purpose further enhances your personal magic, deepening its effect.” I simply love these candles for the ritual and empowerment they’ve brought to my life, and they smell awesome! There are other considerations, like an “activation wand” to connect the energy of the stones as you focus on your affirmation. Ideally this wand contains one of the crystals used in your grid. I purchased mine at Mimosa’s in Madison, WI. It’s made out of juniper root and is adorned with amber. It has a crystal “point”. You can also use a natural crystal with a terminated end. Your local rock shop, or the internet, is a good place to start. The wand helps direct your intentions into the grid and is an extension of your electromagnetic frequency. You are literally putting yourself into your grid—very powerful! Remember to keep the energy in your grid hopping by meditating over it, sending good juju when you can. It is an energy creation so add your energy regularly! This isn’t the same thing as trying to force your intention to happen. As with all affirmations the “feeling of emotion” is feeling your intention as already here. Also remember to detach from the outcome. The Universe has much bigger and more unique plans than you can imagine. This was just a quick break-down. There are many more important details in Hibiscus Moon’s book! I strongly recommend it! Since creating my grid, I’ve noticed a clearing out of some stagnant energy in my career. Things I was procrastinating about became top of mind. Other new opportunities have lined up oh-so-subtly. I’m looking forward to being present for more magic to unfold—don’t wait for your magic! (Hibiscus likes to remind that “magic is the word many like to give unknown science.”) Create your own! Choose to be lucky and create your own personal crystal grid! The hands go ahead of you to meet the world. They symbolize how you are handling life or are being handled. They are the most outward expression of the heart energy, where you touch, caress, show love… Your Body Speaks Your Mind by Deb Shapiro. You use your hands to create, to write, to hug. While this section is usually dedicated to hand mudras, a commercial I saw yesterday for Extra gum touched my heart so deeply, it is all I want to write about today. So please indulge me. Ive learned to write whats in my heart first. Tears streamed down my face when I first saw this commercial and again now when I found it on YouTube. You see, it mirrors a personal origami collection of my own given to me over the 31+ years my husband and I have been together. In that timeframe, weve been out to eat numerous timesusually at restaurants with paper napkins and paper napkin rings. Each time he has taken the paper napkin ring and constructed a heartfelt masterpiece delivering it with his typical lighthearted smile and a commentary about the vision behind his design. He always adds a humble joke about the end product being less than perfect. .well lets just say there are many! Ive often commented that if we passed on and someone came to clean out our belongings, theyd really wonder about this eclectic collection. They are currently stored along with the numerous love notes my husband has written to me over the yearsLittle slips of paper stuffed into my bags and clothes when I travelled for business telling me how much he loved me, or how great I was going to do. Others were left around the house when he travelled. They were left in places he was sure Id find them but sometimes hidden so I wouldnt see them immediatelyLittle surprises meant to keep my heart filled in his absence. These little scraps of papersome with words of love, others manipulated into origami masterpiecespulsate with the energy of loving gazes, jokes shared, dreams imagined. I cant bear to throw even one awaythey encapsulate my husbands intention to always be there when I need him in thought, word, and deed. In their own way, they are kind of a form of hand mudratheyre a ritual gesture sealing our love for an eternity. According to Japanese legend, anyone who folds 1,000 origami cranes will be granted one wish. I dont know if I have 1000 creations (I’m not done collecting yet! ), but I do know all my wishes have been granted. Create your own energetic origami masterpieces for someone special in your life. You may just find out that indeed Sometimes the little things last the longest. Give Extra, Get Extra. Namasté. One of my dearest friends cooks, bakes, and grills like a professional chef. She loves to chop vegetables, says things like “ramekins” and has her own tablecloth named after her—The Christine—for purchase at The Palate in Stockholm, WI: http://www.thepalate.net/. Preparing food has been her passion since before my husband and I met Christine and her husband, Mark, close to 20 years ago. It has been our good fortune to be the lucky recipients of many delicious meals and absolutely wonderful times in their home. Since I am all about following our passion, this is my way of letting her have an outlet for hers. Enjoy! Asparagus and spring onions are in season now and can easily be found in any grocery stores. When buying asparagus, look for larger stalks as they are far more flavorful. 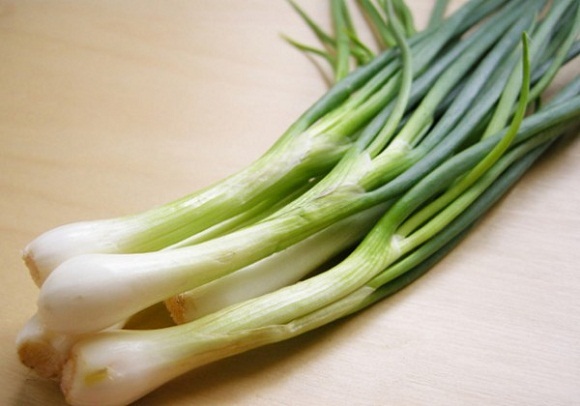 Fresh spring onions should be easy to find but you can substitute leeks, sweet onions or scallions. Chives are abundant this time of year too. If you don’t have any ask a friend or neighbor, they will most likely be happy to share from their gardens. This dish can be served as a meal with a salad or as a side dish. When prepping the asparagus, it is best to break off the woody ends. Take one piece of asparagus and snap it towards the bottom of the stalk. This is a natural break point and will leave you with the tender part of the asparagus stalk. Then take the remaining stalks of asparagus and cut them with a knife at this same point. I sometimes peel the bottom outer skin of the asparagus; it helps it to cook more evenly. Sauté the onion in the olive oil until tender (about 3-5 mins). Add the asparagus and chives and sauté an additional 2-3 minutes. Spoon this mixture into the bottom of the buttered pie plate. Add the ham and the cheese. In a large bowl whisk the eggs, half and half, and salt and pepper until mixture is well blended. Pour this mixture into the pie plate over asparagus, ham and cheese mixture. Bake at 350 for 30-40 minutes until set. When I was in 7th grade, my teacher was a Catholic nun named Sister Roberta. She was a bit of a rebel in that she played the guitar and started “guitar masses” at our church. She also introduced weekly “prayer meetings” in our class where we each had a copy of the Bible to refer to. She encouraged us to share random readings and our thoughts about those readings. I was not with the popular “in” crowd. I was more the quiet, goody-two-shoes-type gal. So it was more in my nature to be the wallflower when it came to sharing things in class. Looking back upon the story I’m about to share, it surprises the adult me even more that I shared the readings I found. It was as though the story could not be kept quiet. The synchronicity had to be shared. It had to have some sort of meaning, some sort of explanation. I wished I’d written down the biblical references I randomly opened to, but there were several; and the prayer meeting was for voicing our thoughts, not taking notes. It started innocently enough with one reference to “wisdom”. I shared it, some classmates commented, and we moved on. My very next random opening of the Bible brought yet another “wisdom” reference, so I shared this as well with a touch of inner awe at the second reading involving “wisdom”. Two readings shared turned into several—many, many readings all randomly appeared when I’d close and reopen the Bible. It got to the point that I didn’t even need to raise my hand any more. I just started to speak out loud when I’d find the next one and the next one. Even my classmates were beginning to wonder. In retrospect, I know that “wisdom” is a central topic in many of the books of the Bible, but the sheer number of references I found in such a short time span still gives me reason to pause. My best friend sat nearby and whispered something encouraging to me. I forget what it was. Right about then, I started to notice cold shivers in my body and I remember sharing this with my friend. My mom always overdressed me—but that’s for another story. The point being, I was not cold due to lack of clothing. My friend shared this out loud before I could say anything—not that I minded. I was caught in the wonder of it all. I remember Sister Roberta suggesting that perhaps the readings and the physical manifestation of cold shivers was a visit from the Holy Spirit since “wisdom” is one of the seven gifts of the Holy Spirit. I was thoroughly humbled by the idea. It was from this auspicious beginning that my relationship with “wisdom” as a personal “gift” started. After that, any reference to “wisdom” was like an inside “wink and a nod” from God—an understanding between us. Don’t get me wrong. I didn’t feel like I was this newly wisened, holier-than-thou human being. On the contrary, I still felt like I always felt—nothing special—no more, no less. It was just that the whole incident made a huge impression on me. It’s something I’ll never forget. Fast forward several years. As I matured, my interests in all things magical and mystical grew. I was intensely curious about historical figures, metaphysical subjects, psychic phenomena, angels, fairies (see the opening section to this newsletter), and yes–goddesses. I started to have an attraction to various goddesses. I’m not the only one enamored with the “Asian-equivalent of the Virgin Mary”—Quan Yin. Click here to read about Quan Yin’s presence in my life. My regular readers know that I am intensely proud of my Polish heritage. My grandmother on my mother’s side is Sophia. So of course I was drawn to studying the goddess Sophia—the divine embodiment of female wisdom. Her name translates literally as “wisdom” in Greek and is often represented in art as a dove. “Later history associated Sophia with the Holy Spirit in Gnosticism. Interestingly, Christianity depicted the Holy Spirit as a dove, imparting divine energy to its recipients. In my readings and research I found a connection with Sophia to “Athena”, the goddess of wisdom, and one of the most powerful of ancient Greek goddesses. Athena “was the daughter of Zeus, the Greek ruling god, and his first wife, Metis, whose name meant ‘wisdom’.” ~ The Book of Goddesses. A Celebration of the Divine Feminine.” ~ by Kris Waldherr. “The word “sofia” was an epithet of Athena in ancient Greek philosophy, namely this word meant the wisdom and divine superiority of Athena in comparison with other Olympic gods. Athena became another very personal goddess connection in my life—we were practically related, after all. Athena is often accompanied by an owl—the bird associated with wisdom. Whenever an owl finds its way into my life, I smile. I’m drawn to owl photos, drawings, and sounds. I notice their presence. How about you? These personal connections to the Divine Feminine are archetypes we all carry deep inside. You need only to acknowledge their existence and suddenly you’ll have your own “aha moment”. I promise. Do you recognize your “goddess within”? I’m sure there are several. Acknowledge and uncover your own personal history—your life stories, and let your inner goddesses evolve into a very personal, unique connection. You won’t regret it. It will be a constant source of inspiration and comfort. A good friend of mine, Flo Schell, is also a very gifted artist. She has created the most beautiful, stunning goddess paintings and was kind enough to let me post a depiction and link here. I have, of course, chosen the goddess Athena. She’s absolutely beautiful, don’t you think? Service Sampler & Wellness Fair Tuesday, May 20th from 5:00 – 9:00 PM! Tuesday, May 20th from 5:00 – 9:00 PM! Please join us for a fun filled night of COMPLIMENTARY SERVICES, yummy treats, gifted healers and lots of resources to nurture you physically, emotionally, and spiritually! Back by popular demand, Better Day Yoga’s COMPLIMENTARY mini boothside class will again be the popular review of the “three thumps” from Donna Eden’s Energy Medicine book that I’ve presented to my yoga students over the years, along with other fun, energetic tidbits as the mood strikes me. Tapping on these points restores your energy when you’re tired, increases your vitality and keeps your immune system strong. Use this process each morning and anytime during the day that you need a pick-me-up! Private Residence Class—per your request! Tailor your class to fit your needs: Beginner, Intermediate, Mixed-Level—you choose! Pre-paid per session. Six session minimum program. Three-person minimum required in attendance for each session to hold. Want to have me work one-on-one with you on correct alignment? Maybe you have questions you want to ask but can’t during class time? A private physical assessment will help me to recommend particular yoga poses for your body, and perhaps other lifestyle enhancements that might help you, after we discuss your questions and history. Feel better about your practice!